This is my lastest work, which I finally finished. 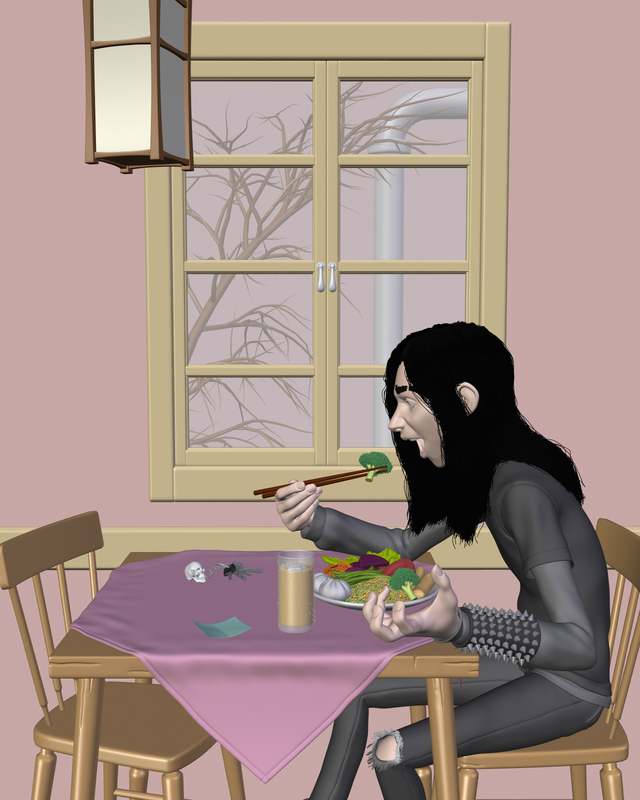 The basic idea that I had in mind was create a contrasting situation that was funny and unusual between this young black metal dude and his colorful vegetarian meal. Big thanks for everyone who gave me feedback and helped to improve the image. 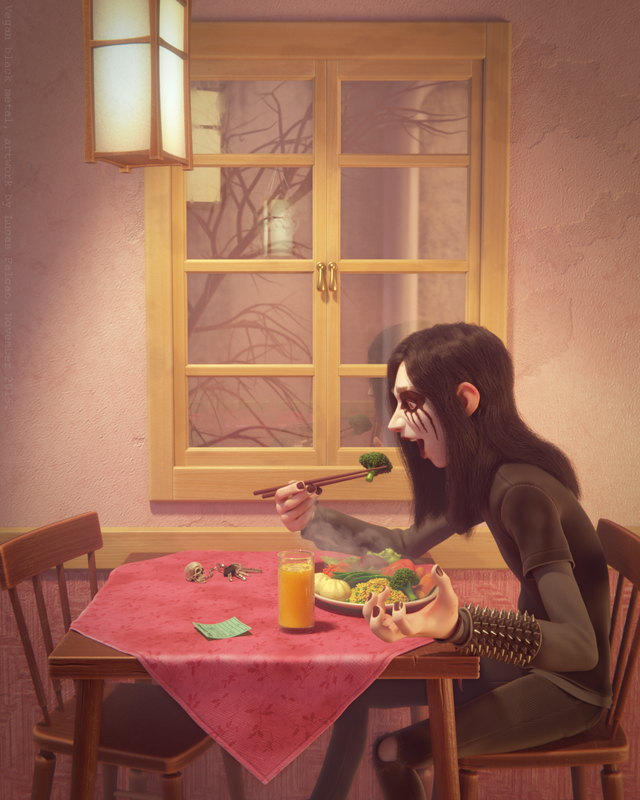 Tools used to create the image, Blender, Krita and Substance Painter and the render was done in Cycles.